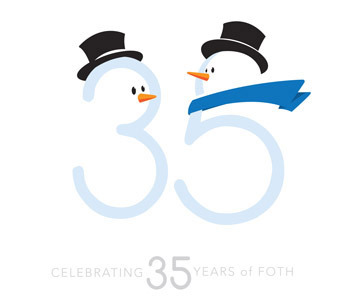 We’re proud to say the agency’s celebrating its 35th Anniversary, and here’s a fun graphic we built to mark the occasion. Wishing all of you a Happy New Year too! It was a day of Lights, Camera, Action when the Boy Scouts visited RFA for a “How to Make a Commercial” field trip. Troop leader Ed Sprigler from Safelite headed up the merit badge adventure. 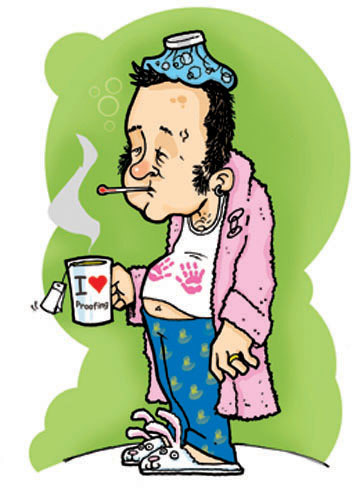 Yep, Dave Henthorne is sick again. Rest easy friend, the Cracker Jack Fothie team you’ve assembled will joyfully complete the huge onslaught of last minute work all with a CLIO touch! A special thanks to Kim Moore for the thoughtful idea of posting this. 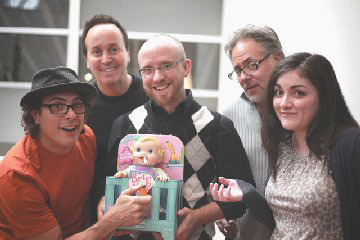 Remember Baby Alive? (Who could forget that jingle.) Well we’re proud to say she’s been added to the Fothie toy collection thanks to the Ad Fed holiday gift exchange! She’s very well behaved other than her two pack a day habit. We told her smoking in the office is a major no, no! 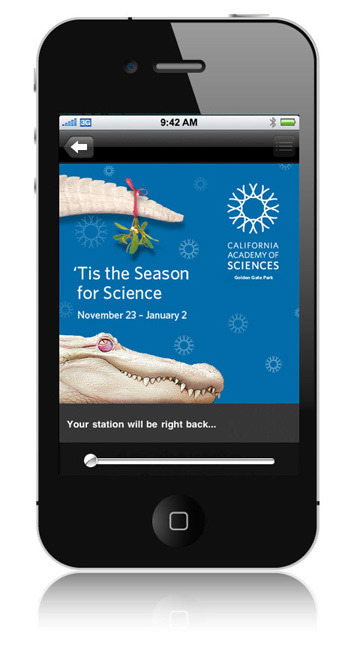 Check out the cool new Pandora Radio mobile banners we just launched with the California Academy of Sciences. It’s part of our campaign promoting their big holiday exhibit, ‘Tis the Season for Science. If you’re in San Francisco, you gotta see it – but be careful meeting Claude under the mistletoe.